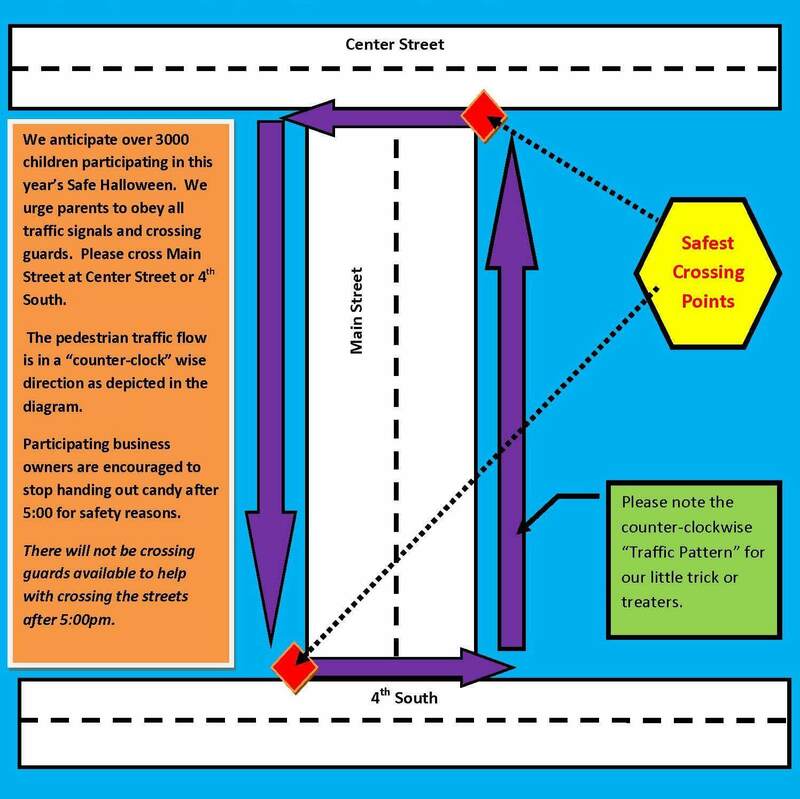 Remember Safe Trick-Or-Treating on October 31 from 3-5 pm, located downtown Springville between Center Street and 400 South on both sides of the road, see diagram below. Come and join the fun! Sponsored by Springville/Mapleton Chamber of Commerce. Contact Shirlene Jordan at the Chamber if your business is not located along the route but would like to participate. A space to set up will be assigned free of charge. Membership is not required. Call (801)491-7830 or email info@springvilleutahchamber.org.